Happy New Year Everyone! I hope you had a wonderful Christmas and an even better New Years! 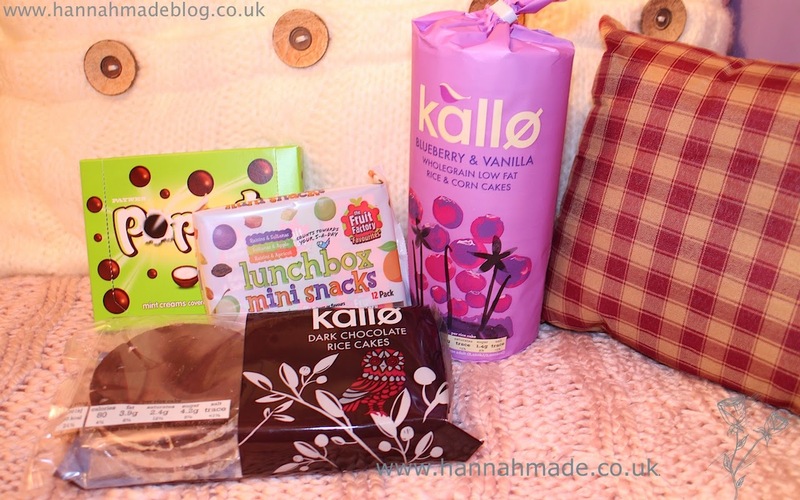 Today I am going to show you the bits I managed to bag in the food section of Poundland none the less! I have always picked up little bits and bobs there, such as stationary, craft and cleaning bits, but today I went into a Poundland which was 90% food. So I decided to have a real look and see what I could pick up. Obviously Poundland stock many naturally gluten free food such as crisps and nuts, but today I wanted to see if I could find something a little more interesting and perhaps something you wouldn't expect for £1! These are a wholegrain brown rice snack that are low fat at 3% per cake and are only 35 calories. There are no artificial flavours and preservatives and are also suitable for vegans and vegetarians. I love rice cakes but had never seen this flavour so I picked them up to see how I could pair up a sweet rice cake as I tend to use cream cheeses, cucumber and tomatoes. I think I may give these a go with a greek yoghurt! I find these sweet varieties tend to retail for £1.50 in my local Sainsbury's. I get through tons of these rice cakes, at 80 calories they give a good chocolate fix. I tend to have a small banana with one of these as a snack at work. The Poundland I went to also had milk chocolate but dark is my all time favourite! In my Sainsbury's these retain for £1.69 but they are the 90g pack whereas this is the 100g, where the cakes are bigger for a lesser price. These are small raisin size boxes with dried raisins, sultanas, apple and apricots. At 37 calories each I thought that these boxes are pre measured which will save me time! There are 12 mini boxes in the pack. Poppets are naturally gluten free and what could be better than dark chocolate and mint? At £1 for 154g makes these 65p per 100g compared to £1 per 100g in the supermarkets. What's not to love!